A revolutionary way to have dessert. The place is unique looking and the food presentation is extraordinary. The first sensation the place gives is the one of entering a bar or coffe place in China. 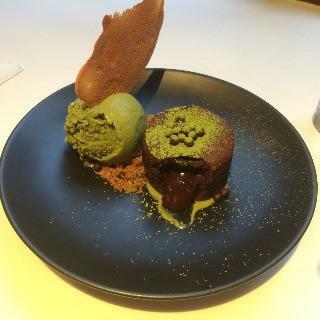 However, we can foget is a place to have desserts. The deserts are presented in an unique way, colorful and with different shapes. It is definitely worth it to take a train to Astor place in order to try at dessert at Spot dessert bar.